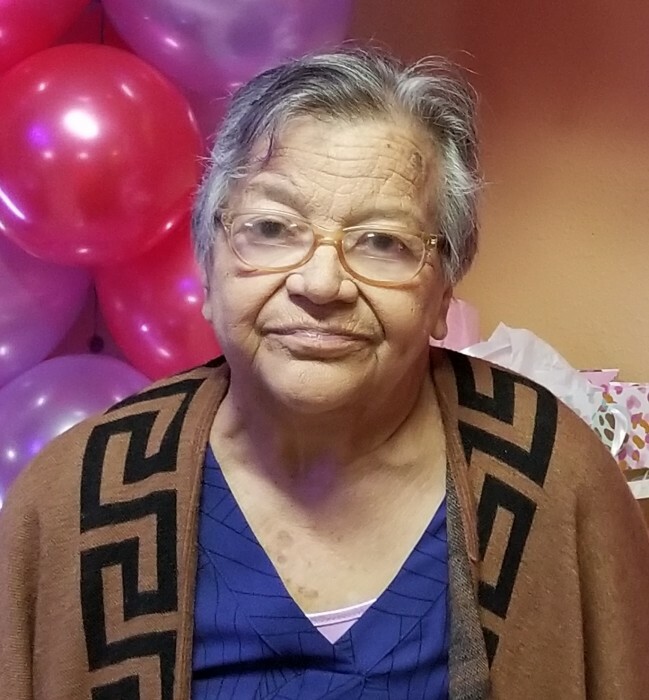 Modesta Medina Solis, 75, passed away on Wednesday, February 6, 2019 in Laredo, Texas. Modesta M. Solis is preceded in death by her parents Pedro and Maria Juliana Medina; sister, Nicolasa San Miguel; father of her children, Braulio Solis Sr.
She is survived by her children Belinda Y. Carillo and Braulio (Dora) Solis Jr.; grandchildren, Stephanie, Dora Alicia, Gabriela, Myriam, J.J., Deborah, Braulio III, Charlie, and Eddie; great-grandchildren, CJ, Melody, and Alyanna; siblings, Juanita Villarreal, Petra (Bob) Politsky, Roman (Maria Luisa) Medina, Abundio (Martha) Medina, Pedro (Irene) Medina Jr. and Margie (Raul) Flores. Modesta M. Medina Solis is also survived by nieces, nephews, other relatives and friends. A visitation will be held on Thursday, February 7, 2019 from 5:00 p.m. to 10:00 p.m. at Gamez & Sons Funeral and Cremation Services where a rosary will be recited at 7:00 p.m.
Funeral service will be held on Friday, February 8, 2019 at 10:30 at Our Lady Guadalupe Catholic Church where a mass will be celebrated. Interment will follow immediately after mass to the Calvary Catholic Cemetery.